This is a celebration of the past and present of maritime at Put in Bay Ohio. Plan on bringing Dad to Put-in-Bay to celebrate Fathers Day at the Maritime Celebration’s Kids Day on Sunday, June, 18th! Hands-on educational activites, arts & crafts and live demonstrations. Fun for the entire family! We will welcome the US Brig Niagara to the Jet Express dock in downtown Put-in-Bay. 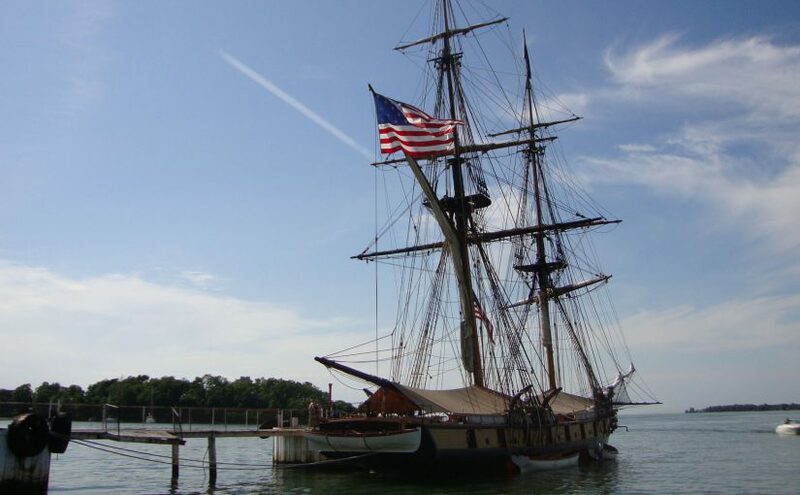 See what makes Put-in-Bay such a fun port of call for the entire family as we welcome the US Brig Niagara for the 3rd Annual Put-in-Bay Maritime Celebration. The Niagara’s visit is sponsored by the Put-in-Bay Jet Express and Put-in-Bay Winery. Program funded by the NPS Foundation brings elementary aged children to Put-in-Bay to learn about boats, sailing and maritime oriented skills. The Maritime event takes place the third weekend in June each year. This year the Put-in-Bay Maritime Celebration will be held June 16-18 and will encompass the visit of the US Brig Niagara as well as the Mayfly Fest, and educational and public service programs. The Put-in-Bay Chamber of Commerce is hosting the event in partnership with the Perry Group, the Lake Erie Islands Historical Museum, and Perry’s Victory & International Peace Memorial. The Niagara is scheduled to arrive on Friday, June 16, weather permitting, and will offer dockside tours on Friday from 11am to 5pm, and Saturday and Sunday from 11am to 7pm. Tickets can be purchased at Fox’s Dock where Niagara is berthed. Tours of the USS Brig Niagara on Saturday and Sunday, $7 Adult and $5 Children. The Put-in-Bay Chamber of Commerce will be selling tickets for a late afternoon Day Sail aboard Niagara, from 3pm to 8pm. Tickets are $100 per person for the five-hour sailing experience aboard the square-rigger. This is a hands on sail experience for ages 12 yrs and up. Tickets will also be sold for a dockside reception aboard Niagara on Friday evening, June 16. Ticket holders will be treated to appetizers and cold beverages, and will be able to tour Niagara and talk with the brig’s crew. History gets a little watery on Saturday, June 17th, at Perry’s Victory and International Peace Memorial when we turn our attention from the Battle itself to the Lake. The National Park Service site is hosting its 6th annual “Return of the Mayfly” festival from 11 a.m. to 3 p.m. Return of the Mayfly is a free event that gives adults and children alike the opportunity to learn about our fascinating friend, the mayfly and his ecological counterpart in Lake Erie… the fish. Events and activities will focus on the Lake Erie ecosystem and some of our favorite critters will be here, the mayflies! Our annual Mayfly Fest honors those pesky insects we all love to hate. Yet, mayflies play such an important role in the local ecology and in determining the health of Lake Erie that they deserve our respect and understanding. This year’s activities will again include a variety of fun science based activities. Visitors will have the opportunity to study mayflies with some student volunteers using viewing scopes provided by Ohio State University Stone Laboratory. Fish, snakes, and mayflies will be in attendance. Children may participate in the ever popular “Build-A-Bug” and “Bug Mask” crafts. Fishing, Ichthyology and Invasive Species Ranger Programs will provide kids with the opportunity to see and understand some interesting critters and plant species. Plus, some of our park rangers will help children discover the effects of pollution using hands-on water quality testing. Mayflies are insects abundant throughout the world and spend almost their entire lives in lakes or streams. As adults, they survive a short time — anywhere from a few hours to a couple of days. Mayflies primarily become adults to procreate. 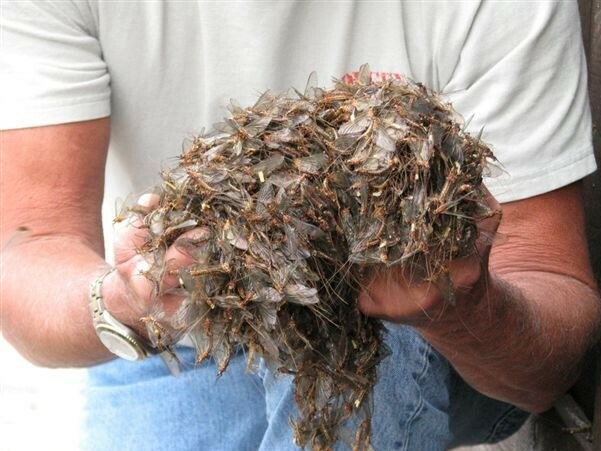 Mayfly eggs, primarily found in fresh bodies of water, can live underwater for up to five years. The average mayfly’s length ranges anywhere from one-fourth of 1 inch to 1 inch. A mayfly is also known as a dun, fishfly, shadfly and June bug. Mayflies are not harmful nor are they poisonous. There’s no threat of infection with them. Mayflies have neither mouths nor digestive tracks. Mayflies don’t have mouths nor digestive tracks.